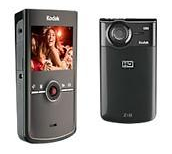 My Other Cool Toy: The Kodak Zi8 Camcorder! My other “score” this Christmas! This thing is amazing! Light weight, but up to 1080p HD video, and, best for me, it has a jack that allows me to plug in an external mic, and even adjust the sound level! Look for me to restart my Dr. Bill.TV Netcast, as a “semi-occasionally” report on tech-iness! 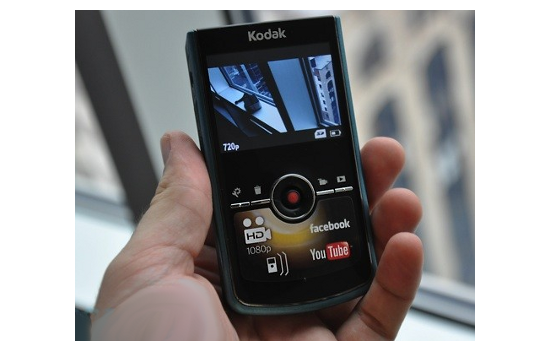 You can shoot 5 Megapixel still images, video that records to an SD card! And, it has both a “flip-out” USB connection, and an HDMI connection to hook it up to your TV. Check out the photo below; this thing is TINY! It fits right in your hand! Dewd! Rock on!